Nicknamed “the hospitality state”, Mississippi is the 31st most populous and 32nd most extensive of all the US states. With a long and rich history, Mississippi has been ranked the most religious American state and one of the highest per capita contributions in charitable actions. This state’s economy consists mostly of lumber and agriculture, and is well known the fact that it has the lowest cost of living. When incorporating in the USA, you must make sure your personal assets are well kept. Whether you form a C-corporation or an LLC, opening a US Bank Account helps you keep your individual belongings separated from the business assets in case of a lawsuit or any other problematic business claims. Mississippi requires that a C corporation or an LLC mustn’t have a name that can be confused with another business carrying a similar sounding name. A unique incorporation name raises your company’s reputation and also acts as a brand identity protection. To make sure your business name is eligible check out our free corporate name search section. In Mississippi, the type of business entity you choose determines the nature of the charges applied to your incorporation. For instance, C-corps will be charged based on the company income and LLCs will be subjected to taxes based on its members’ personal income return. There is no legal specification which implies that business owners choosing to form a company in this American state must own a Mississippi physical address. However, before your firm is legally eligible to operate, make sure you possess all the required business licenses, permits, and tax registrations. If you need help, Inc. Plan can help you with all the hassle. Both, C-Corps and LLCs must have one or more members, but it is not mandatory for the names and addresses of directors to appear in the incorporation documents. However, entrepreneurs must be at least 18 years old in order to conduct business in Mississippi. An EIN is also required to be eligible for hiring employees or in order to open a US Bank Account. Mississippi LLCs must contain the terms “Limited Liability Company” or the abbreviations “LLC” and “L.L.C.”. The words “Trust” or “Partner”, as well as any variations of these words, are not allowed by the Mississippi law. If you decide to incorporate an LLC in Mississippi, then you must file a formation document called the Certificate of Formation and an annual report due between January 1st and April 15th. No filing fee is requested for the annual report. The Certificate of Formation must contain the name and address of a registered agent which resides in Mississippi, and which is available to manage legal and tax business documentation. For more help with the incorporation filing or registered agent services, feel free to contact Inc. Plan (USA). Mississippi LLCs are subjected an income tax based on its member’s personal revenue. LLCs are not subjected to the state corporate tax or the franchise tax, unless they choose to be taxed as a C corporation. Each of the 50 American states has its requirements for incorporating. The essential requirements for C- corporations established in Mississippi are as follow. 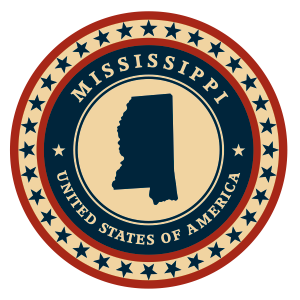 Mississippi allows organization names that include the terms “Company”, “Corporation”, “Incorporated” or “Limited”, along with their abbreviations. Also, financial institutions are allowed to use the words “Bank”, “Banking” and “Bankers” if they obtain a special approval from the state authorities. However, the Mississippi law prohibits the terms “Trust” and “Partner”. In order to form a corporation in Mississippi, entrepreneurs must file a document called Articles of Incorporation and an annual report due between January 1st and April 15th, for a $22 fee. Additionally, C-Corps must submit an annual Franchise Tax Report due on the 15th day of the third month of the following year. The Articles of Incorporation require a listing of the company’s authorized shares and per value, as well as the name and address of a registered agent with a physical Mississippi address. Inc. Plan (USA) can help you with the necessary filings and also with qualified registered agent service. Domestic and foreign corporations are subjected to the Mississippi corporate income tax calculated on the net business revenue generated in this state. The tax rates range between 3-5%. Additionally, C corporations must pay a Franchise Tax based on the value of the capital employed in this state.